Headlines, hot news, and conversation starters on September 25, 2015! 2 Cristine Reyes and fiancé Ali Khatibi are super hands-on with their wedding prep! Cristine shared photos of her and Ali as they looked for the perfect venue, rings, and caterer. Happy hunting, you guys! 3 Coleen Garcia celebrated her birthday salubong on the set of her teleserye Pasion de Amor in Tagaytay. Her mom and boyfie Billie Crawford drove all the way to her location just to make her feel extra special on her birthday. Awww! Happy 23rd birthday, Coleen! 4 Chvrches just covered Justin Bieber’s "What Do You Mean!" Jump to 2:05 to hear an electro-pop version of the Biebs’ no. 1 hit! 5 Mr. Robot is arguably the BEST new show of 2015! 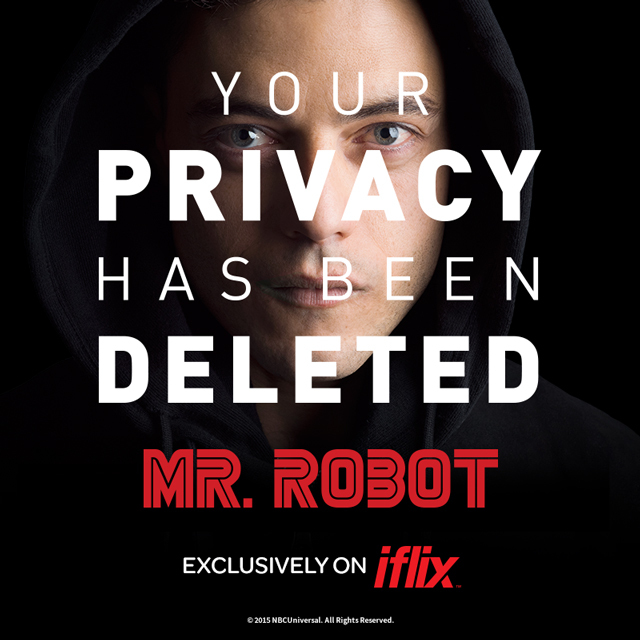 The thrilling drama series follows Elliot, played by Rami Malek, a young computer programmer who works as a cyber-security engineer by day and as a vigilante hacker by night. Now, you’ll be able to watch Mr. Robot (and other cool new shows and movies!) exclusively on iflix for only P129 per month! Interested? Go to www.iflix.com for more deets!